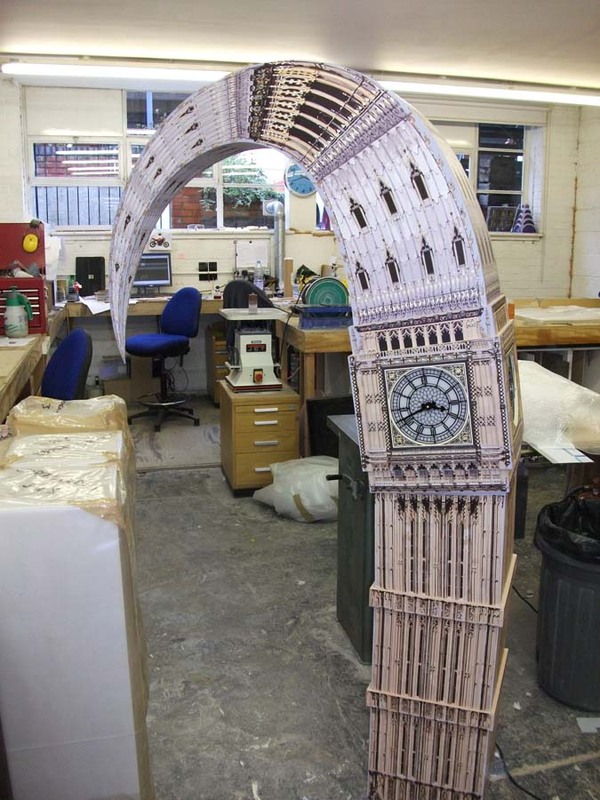 Graphic Designers McKenzie Clark asked us to construct a 3D Bendy Big Ben, which we made from foamex and clad in printed vinyl. 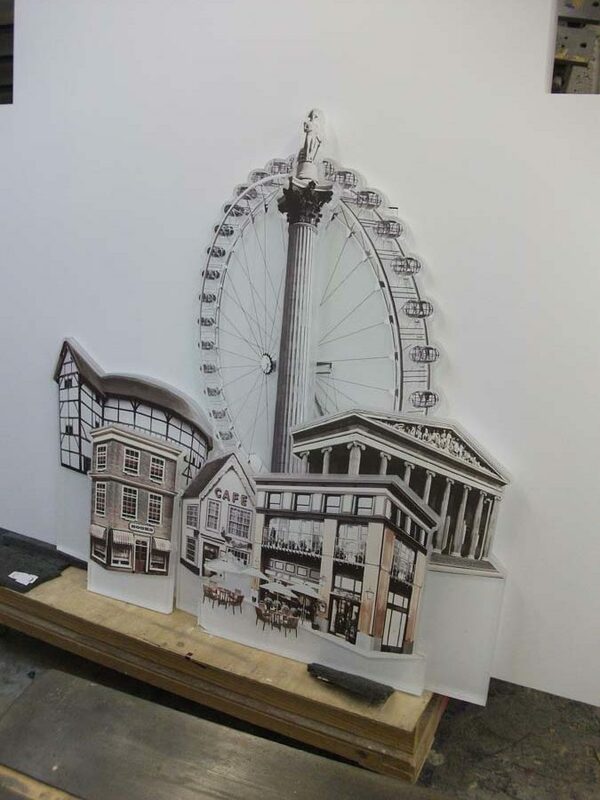 Landmarks such as the London Eye, Bank of England, Globe Theatre, Tower Bridge and some cafés were also produced using cut-out acrylic shapes with print vinyl applied. 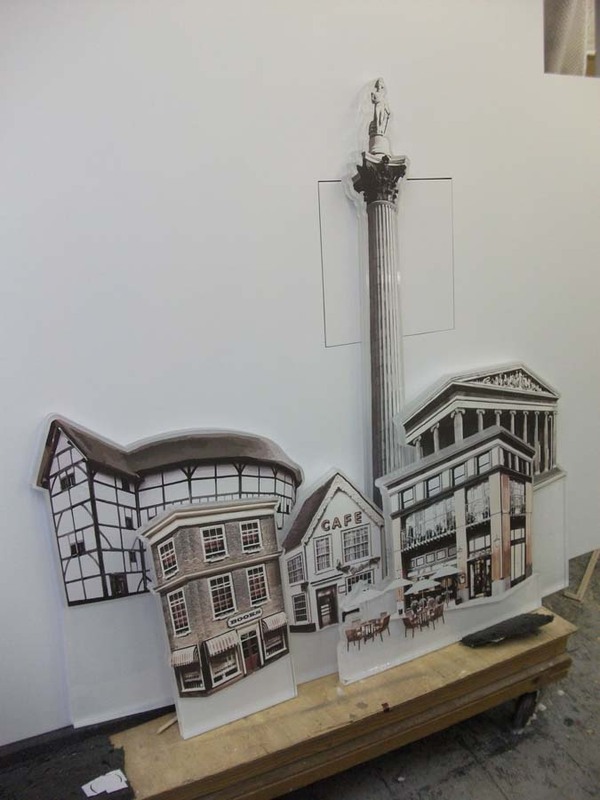 The display was installed in a Nokia outlet in Regent Street.